If you use Rails check out this useful Rails Security Checklist by Eliot Sykes. To lock a user in Ubuntu sudo usermod –expiredate 1 [username] Substitute the user’s username where username is shown below. This will disable the user both from accessing via password and from accessing via a private key. Apollo 13 is a great movie on hacking. Hacking is applying intelligence to systems (including computer systems) to achieve a goal. That can be done by criminals or devious people but it doesn’t have to be. It is a bit annoying that some people equating hacking only with criminal behavior. The hacking culture is much more about figuring out ways to make technology work for people than about criminals. We shouldn’t let a small sub-set of hackers defile the term. 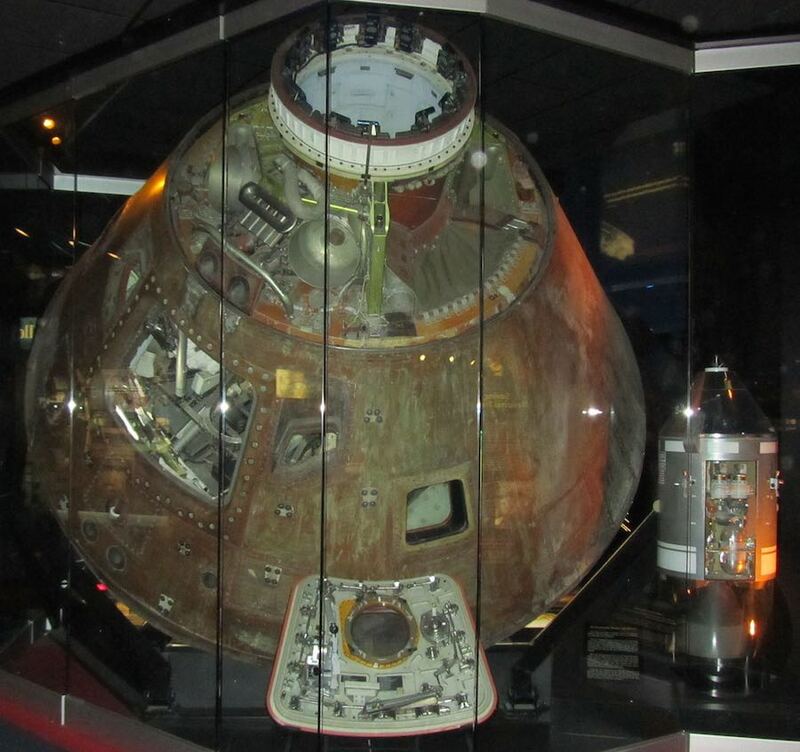 The Apollo 13 command module in which the astronauts splashed down into the Pacific Ocean. by HrAtsuo, via Wikimedia Commons. When the oxygen tank exploded, Commander Jim Lovell made the famous statement: “Houston, we’ve had a problem.” The engineers on the ground and astronauts had to devise solutions to several very difficult problems and execute them quickly in order to return the damaged spacecraft to earth. The amazing hacking done by the engineers (including the astronauts) at NASA to create a solution to the serious problems faced by Apollo 13 allowed the astronauts to return home safely. Without the amazing hacking done by those government employees the astronauts would have died. It is also good to remind people, government workers do amazing things. Sure government workers can also harm society with bad work or by implementing bad policy. But it isn’t the fact that they work for the government that defines the value of the work they do. Finding the right place to host your content is important. Thankfully their are several excellent providers. For virtual private servers (one server shared with multiple virtual servers) Linode and DigitalOcean. And there are lots of good choices but those two are widely appreciated for excellent service at a good price. AWS ec2 (the Amazon elastic cloud) is not great for minimal hosting in my opinion – it adds extra complexity and is likely more expensive. But it is a great solution when you have the resources to manage it and you have significantly variable demand. Because of the ability to add capacity on the fly as you need it you can maintain a low baseline and add capacity only as needed and drop that extra capacity as soon as it isn’t needed. Rackspace is another good option for hosting. Rackspace and AWS are often used for very large applications and sites but Linode and Digital Ocean also can serve those needs and provide similar options to add capacity on the fly. All of these options require you to manage your server (which may well be a virtual server – that is just a portion of a actual physical server that you control). Rackspace also offers co-location where your physical server is put in their network operation center with electricity; cooling; network and internet connections; and physical security managed by them and the server managed by you. As colocation has evolved what is included and to what level things like physical security and redundancy are dealt with have evolved. It has become quite complex to understand all the options for those organizations that need more than a simple virtual private server. As often happens when their is a business need, people offer solutions. And there are companies that specialize in helping you find the best colocation options for your needs. Today the cloud options have led many organizations to eliminate (or greatly reduce) there own network operations centers and colocation needs. But cloud options are not always the right choice. And for some needs cloud options are not appropriate yet (mainly due to security or legal issues stemming from security concerns). Managing your own servers with a colocation arrangement can be significantly cheaper than cloud hosting options (especially if you don’t need to massively increase capacity to deal with short term bursts of demand). Of course, technology continues to change so quickly it is hard to predict what the future will bring. Service quality is absolutely critical for colocation. While saving money is important, the reason colocation was selected (over virtual private servers or the cloud) is normally how critical the function was. Using experts to help sort through the options and assure the quality of service of provides is wise. How to reset the root password on a MySQL database. Good reminder and discussion on Hacker News about the danger of copy-paste from a website into terminal. When copying from a website it is easy for hidden text to be included in the clipboard. If you paste that into terminal it can be executed before you see the code. Including new line commands in the copied text will automatically execute the commands (in most terminal applications). The best solution is to paste the clipboard content into something to view the text before pasting into clipboard. The best way is probably to recopy it. I use this double copy method to get rid of formatting I don’t want (when the clipboard includes things like font styling info you don’t want – not relavent when pasting into terminal but the pasting [into say vim, which won’t include the extra formatting details] and recopying part is similar). It may be possible to have text hidden (write it in a way where it won’t show up on the screen but is in the clipboard – using some tricky unicode characters or something). Some people put # before pasting into clipboard but that only protects the first “line.” Any new lines could still be run without you seeing them. The discussion warns against a malicious website intentionally creating a problem but if you paste in multiple lines there is also just the danger from the lines executing immediately when you wanted to edit the line before it was executed. How to secure an Ubuntu 12.04 LTS server – Part 1 The Basics is a great resource to secure a VPS. Mod_Security is a web application firewall. I found a couple things to add to my servers. There are tips on some edits to include when using WordPress on an Apache server with modsecurity. and see if the problem goes away. If it does then you have a very good indication modsecurity was blocking access and can continue to narrow the scope of the problem by adding the WordPress whitelist rules in the link above. Another note, service apache2 start, failed in a non-obvious way to me anyway. For me if I use sudo it works fine. If I don’t it gives odd errors which lead me on a 10 minute wild goose chase before remembering to try sudo.